The 2018 legislative session began on January 3rd with Governor Cuomo’s State of the State Address. The Governor said that this is the year he intends to enact the Reproductive Health Act (A1748/S2796). It is critically important that we show our support for Life! The Reproductive Health Act seeks to have abortion declared a ‘fundamental right’ in New York State, prohibiting even basic and widely supported protections, such as parental consent and limits on government funding of abortion. The law would allow any "health care practitioner" to perform an abortion, enshrine late-term abortion in New York State law, jeopardize any agency that does not refer for abortion and seriously threaten conscience protections for hospitals and medical professionals. Read NYSRTL's full statement of opposition to RHA. 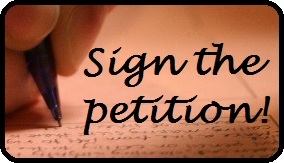 Sign the petition to stop RHA. Forward the link to your family and friends. Contact your NYS senator: call or schedule an in-person appointment to ask him/her to oppose the Reproductive Health Act (S.438) in any form that it's brought to the floor. Find your senator's contact information here or call NYSRTL at 518-434-1293. Be sure to ask for a written response and send us a copy. Educate and activate others: share information about RHA with others and encourage them to get involved. Donate to help the NYS Right to Life Committee stop RHA from becoming law. Contact NYS Right to Life to learn more about RHA and what you can do to help stop it from becoming law.